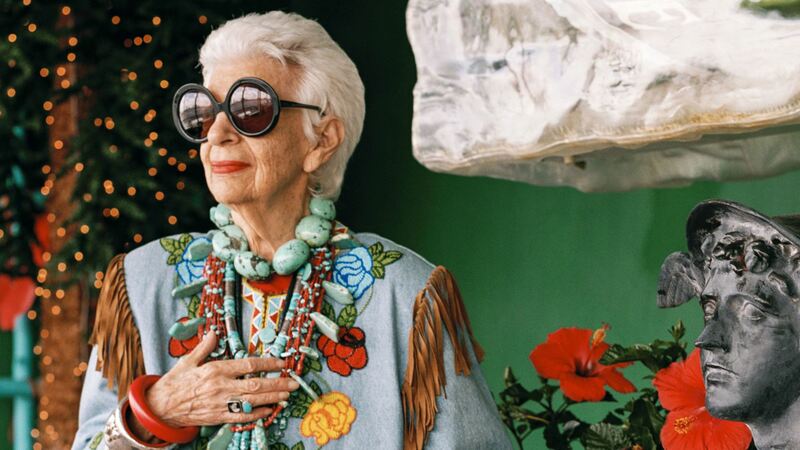 A tribute to the rare bird of fashion herself, Iris Apfel, Iris (2014, dir. Albert Maysles) is a documentary with heart. It tells the story of a legendary woman from the perspective of a legendary documentary filmmaker – about her early life, her dedication to her career, and her current status as a fashion icon in her later years. I find this woman endlessly interesting from a sartorial perspective. She has this wild sense of style where she packs a whole bunch of accessories all along her limbs and neck as well as wearing her boldly round glasses, which would look completely ridiculous on any everyday person. For some reason she has a very specific eye which causes her to look pretty fabulous. At least I think so, anyway. And so does Albert Maysles, apparently, as this documentary gazes upon her style with a loving and detailed eye. Iris guides us through aspects of her life with a wry humour that only those who are approximately ninety-something years old can possess. From a brief discussion of her early years, to a more substantial storytelling of her life and international journeys whilst owning and running the textiles company Old World Fabrics, to her bemusement upon being classed as a fashion icon, Iris’ wit and sense of self is always at the front and centre of the film. We get to know her husband, Carl Apfel, and the dynamic between Carl and Iris is adorable. It’s quite fun watching a ninety-something year old haggle in shops for jackets and accessories. The film is made up of moments in time, but doesn’t seem to have any kind of goal or story. It works well as a snapshot of a person, but I found myself wanting more. I suppose the problem with films like this that focus so much on fashion and style is that they have the potential to be a little bit empty. Iris is one of those documentaries that is simply gorgeous to behold – each shot contains a million things that the eye could look at and enjoy, but beyond that gorgeousness and gilded exterior, there’s not a lot of conflict or depth to explore. I was reflecting upon this film recently and wondering why exactly I found it so vague. With other fashion documentaries such as The September Issue (2009, dir. R.J. Cutler) and Bill Cunningham New York (2010, dir. Richard Press), there really was a sense of conflict, of story being built. But with Iris, we’re just gazing upon her glory throughout the whole thing. It feels easy. But that’s not to say that it isn’t enjoyable. There is just a strange, hollow feeling after watching it which doesn’t sit well for me. When it comes down to it, I don’t think the film digs deep enough. It is a shame that the layers which are reflected in her clothing and accessories are not mirrored in the content of the film. I did enjoy Iris, but as aforementioned, there’s not too much substance to it. It’s light and fluffy and doesn’t delve too deep into the life of its protagonist. In a way the storytelling is effective because the film just shows us how things are for Iris nowadays, and quite briefly how her life used to be. There is little insight into Iris’ life, either from Iris herself nor from other people who feature in the documentary. But it is beautiful to look at, and if you get a lot out of bright, vivacious imagery, then you may find a lot of value in this. It cannot be denied that Iris’ ability to keep on kicking goals whilst being an active and stylish nonagenarian is fairly inspiring. Thanks so much Mel! Yeah, this one is certainly light and fluffy and not too deep, but it is still definitely enjoyable and entertaining. Iris is one individual of a lady, that’s for sure. 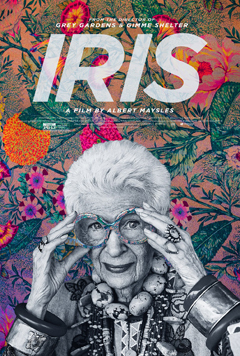 Just watched Iris this weekend and felt exactly the same way – an able documentary held aloft by a fascinating personage, but lacking in depth. We have a fondness in our home for documentaries featuring elderly iconoclasts, although this won’t replace Jiro Dreams of Sushi as our usual weapon of choice. Cheers! Oh yeah, films about older individuals are endlessly fascinating to me. I loved Jiro Dreams of Sushi as well! Iris is a pretty inspiring woman, and I wish they showed more about that! 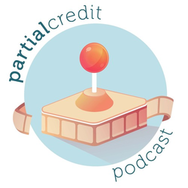 About what it takes for someone to keep on pushing boundaries and trying new things into their 90s, at a time when many older individuals tend to settle down. More is more indeed! I have approximately the same taste in accessorizing as she does. This sounds worthwhile, not only because it’s beautiful but also because maybe a person can pick up a few accessorizing tips. Of course, not everyone can pull off Iris’ look. Oh yeah, it is a very individual look. Most people would look a bit nuts but for some reason it suits her perfectly.